from the world of racing, is equipped with a safety lock which ensures effective closure in all conditions. Machined from billet, they are subjected to a surface finish which assures high quality and long service life. It's a good practise to fasten the engine oil filler cap with a safety wire. 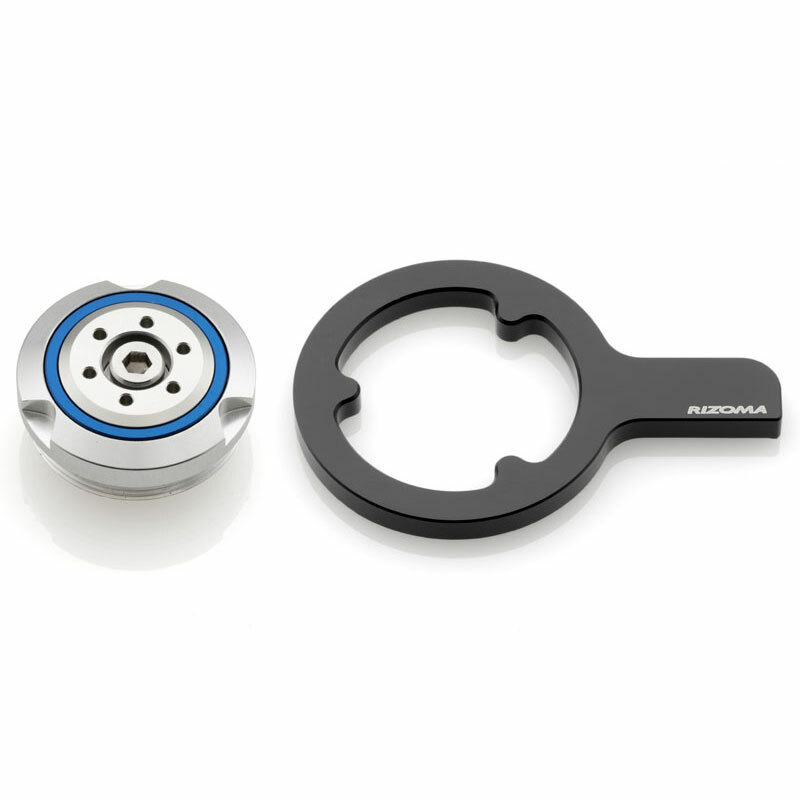 Rizoma engine oil filler caps come with a removable bracket for the safety wire. Thread M34x1.5. Compatible con R1200GS (>04), R1200GS ADVENTURE (>10), R1200R (>06), R1200R CLASSIC (>06), R1200S (>06). Silver colour.